Submitted by spullis on Fri, 05/30/2008 - 11:37am. 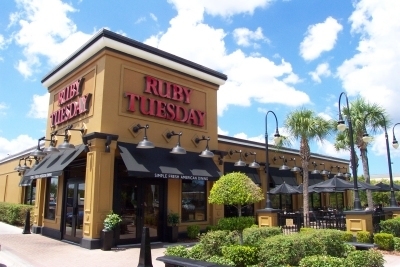 Locations came from Ruby Tuesday's website. Geocoding came from GPS Visualizer Easy Batch Geocoder with 3 sites coming from Microsoft Streets & Trips 2008. Please advise if you find errors/omissions. 12/1/08 - Added Urbandale, Iowa location, thanks to "RVN4US". 12/29/08 - Corrected address and coordinates for Council Bluffs, IA location - again thanks to RVN4US. 2/16/09 - Corrected coordinates for Princeton, NJ location, thanks to dhschneider. 3/19/09 - Deleted Spackenkill Plaza, Poughkeepsie, NY location, thanks to jayallen. 4/20/09 - Removed Montgomery East Plaza, Montgomery, AL location due to closing. 8/3/09 - Corrected address and coordinates for Manchester, CT site. Thanks to geocamp. 9/14/09 - Corrected coordinates for Mays Landing, NJ. Thanks to geocamp (must be a Ruby Tuesday fan). 1/21/11 - Deleted Laurel, MD site. Thanks to nicolod for the information. There are currently 5 users and 27 guests online.